Sculpture Technique: Model, was very fun to review. This book teaches the children to build things in three dimensions using specific materials. The book starts out with the table of contents, which shows you the units in the book. There are three main units in it; Creating Mass with Putty, Creating Scale with Clay, and Creating Surface with Fiber. This page also gives you the list of art supplies you will need in order to do all the units in the book. Each unit then goes over the material list then the properties of the material you will be using in the unit. It then goes on with the techniques and at the end of the unit there is an evaluation. At the end of the book there is answer sheets, course descriptions, templates and class schedule. These are more for if you want to use this for highschool age kids. This course is made to also be used to gain a credit in visual arts. How we used: I used this mainly with my 10 year old while letting the others kind of follow along. She is just out of the age range but she really enjoys sculpting things so I thought it would be a good fit for her. Since we are more of a fun schooling type of family we work on art every day. I would start out by spending our first day going over the material list and then going shopping for the materials. I think any art person knows its more fun to pick the stuff out yourself. I also think it helped her learn what things were called and such too. Then each day we would go over another part in the unit, starting with the properties of the material we were using. Unit one we were using putty. Each unit has key terms also that are taught. we wrote all these out so that we could have them to sit beside us while doing work. We tried to use them as much as possible until she learned what they were and what they meant. Then we would move on the the projects, we usually spent a few days or more, depending on the details of the project. on each project. Some were easier than others. She did find that she liked to use clay better than the putty as it was a bit more forgiving on mistakes and was also easier to add textures to it. After we finished the unit we choose to do the evaluation out loud. Since she is not old enough to do it as a credit class we just did it as a discussion. We went over all the questions to make sure she understood what was taught in the unit. We went back to the things she didn't know the answer to. Overall we always enjoy using ARTistic Pursuits. It makes doing art fun but also learning a lot of very important information to go with it. 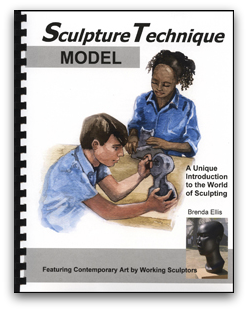 I think this book would be great to any children that have a love for sculpting as well as teens that need and want a credit in art. I also apologize we did not have pictures to post. My daughter dropped my phone on the concrete floor taking a picture and completely shattered my screen. But be sure to check out my crew members and their great pictures.